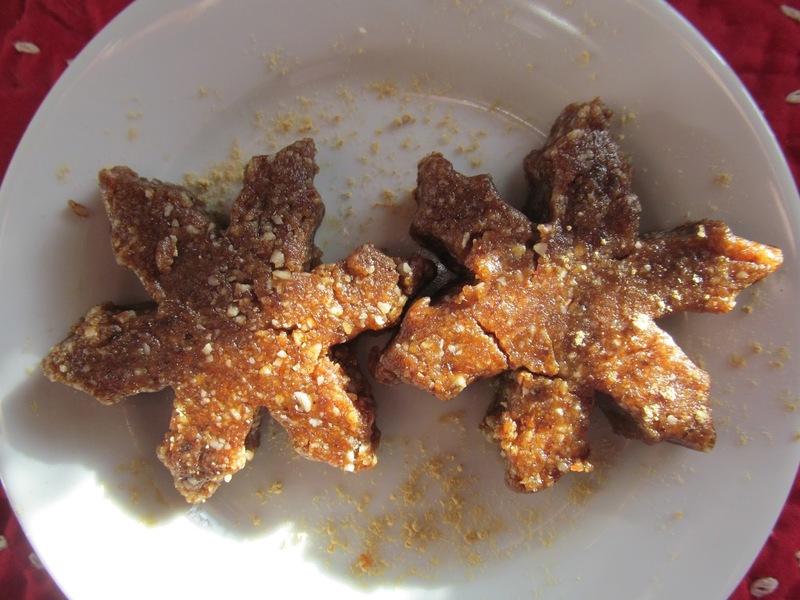 There is something about a cold, stormy day that stirs up a craving for gingerbread. Talk about seasonal flavors…warm gingery spices with that deep flavor of dark molasses…nothing says winter like gingerbread. With a storm brewin’ outdoors this weekend, I decided to hunker down in the comfy confines of my kitchen and bake up some of those gingerbread flavors. Now, I say bake, but I don’t actually bake these days. Not that I don’t enjoy indulging in soft, delicious, gooey goods hot and fresh from the oven. It’s just that I don’t have an oven. Well, I do, but it doesn’t work. Hasn’t for years. Nothing a call to a repairman wouldn’t fix, I’m sure. It’s just one of those things I never got around to doing and eventually learned to live without. A few years back my husband and I began a little journey of enlightenment involving food. After watching film documentaries about the dangers of genetically modified foods and reading a few books about the power of a nutrient-dense, alkaline, plant-based diet, we started cleaning up our act a bit. Nothing major or drastic, just small changes that have led to a cleaner, healthier way of eating. Through my explorations in superfoods, veganism and raw cooking, I have adopted some alternative forms of old food favorites and methods for preparing them. Hence, my propensity for no-bake, raw, vegan treats. I have said it before, I know, but raw cookies and cakes are so easy to make. Using a base of dates and nuts, you can incorporate just about any flavors to create a healthier version of your favorite sweets. And since gingerbread spice makes everything nice, I made some ginger spiced cookies to warm up this chilly weekend. 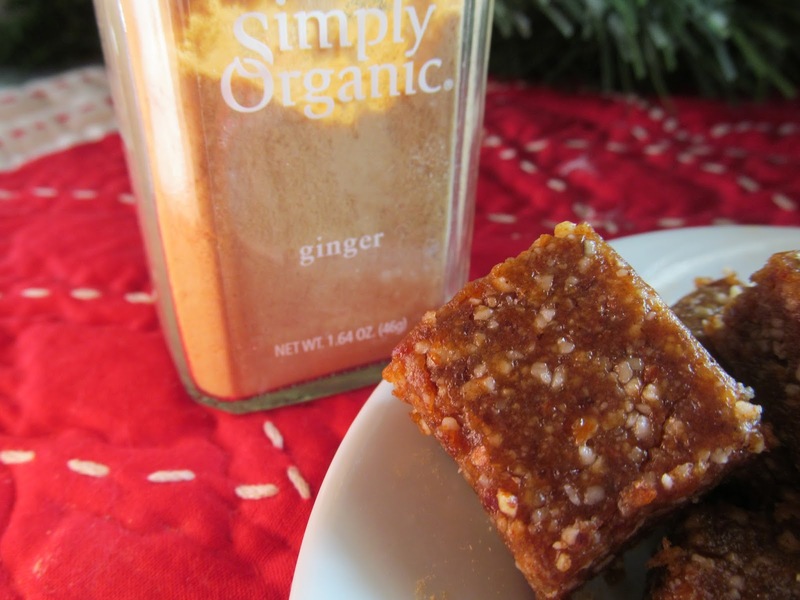 Now, powdered ginger from the pantry works perfectly well in these seasonally spiced sweets. 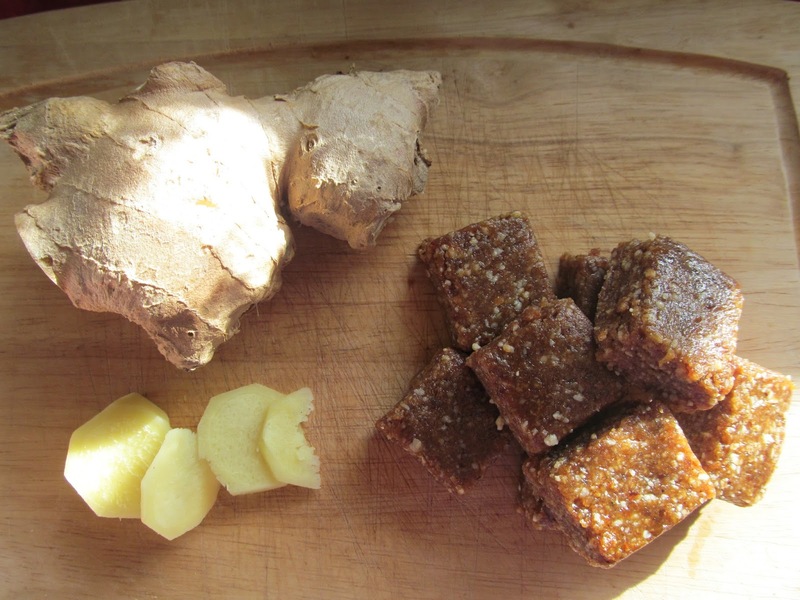 But using fresh ginger root really makes the flavor of these cookies something special! This recipe was inspired by Beth’s Grain-Free No Bake Gingeerbread Cookie Balls over at Tasty Yummies. I only slightly altered the measurements and I used almonds and walnuts instead of pecans. In a food processor, grind the nuts into a course flour. With the processor running, add the dates one at a time and mix until well-combined. Add ginger, spices and salt. Pulse to combine. Add the molasses and mix until moist, but not too gooey. You may want to adjust the amount of molasses depending on your tastes and the consistency of your dough. Roll the dough into little balls for a truffle type of treat. 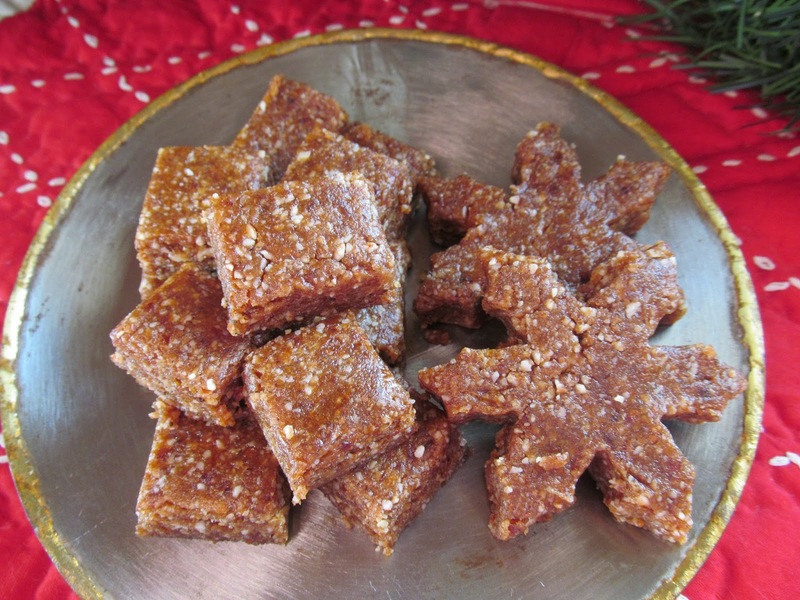 Alternatively, you can press the dough into a square baking pan lined with parchment paper, cool in the fridge or freezer until firm, then cut into snack-sized squares or use cookie cutters to add a classic touch to your no-bake gingerbread cookies. Gingerbread Granola. Mmmm, how perfect is that? 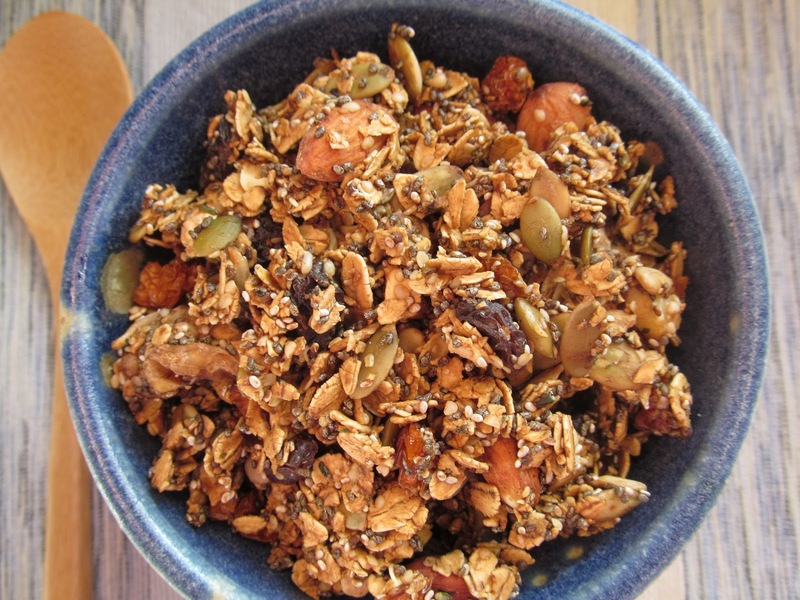 I used ingredients from this recipe to ginger up my own favorite dehydrator granola recipe. Give your day a cozy beginning with a bowl of these warm and wintery spices. Soak nuts and seeds (except chia seed) in a bowl of water overnight (soaking nuts and seeds breaks down the natural enzyme inhibitors, making their nutrients readily available and easily digested). Drain and rinse. Pour mixture onto lined dehydrator trays and dehydrate 12-18 hours or until your own personal crunchy factor has been attained. Dehydrator times vary depending on the type of dehydrator and temperature setting you use. Store in an airtight container. 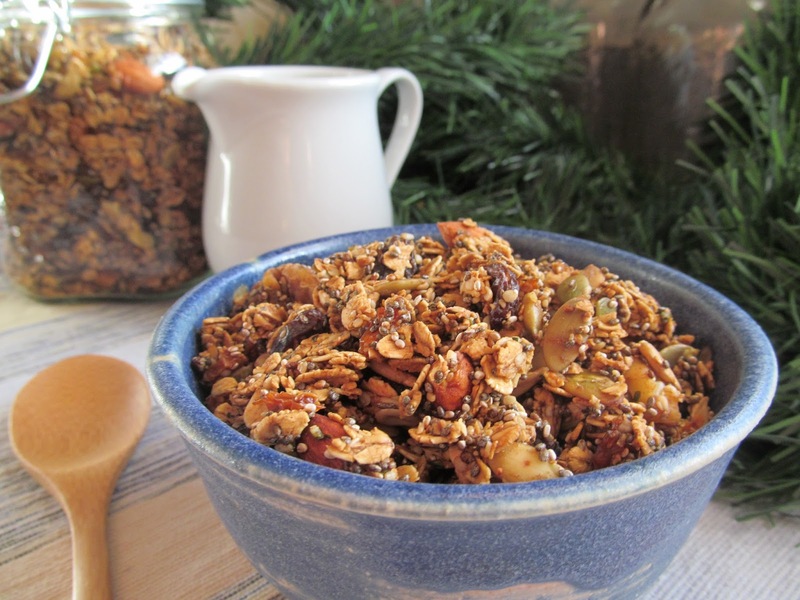 Enjoy a bowl of this gingerbread granola with your favorite nut milk or eat it from a bag by the handful for a nutritious and delicious on-the-go snack. 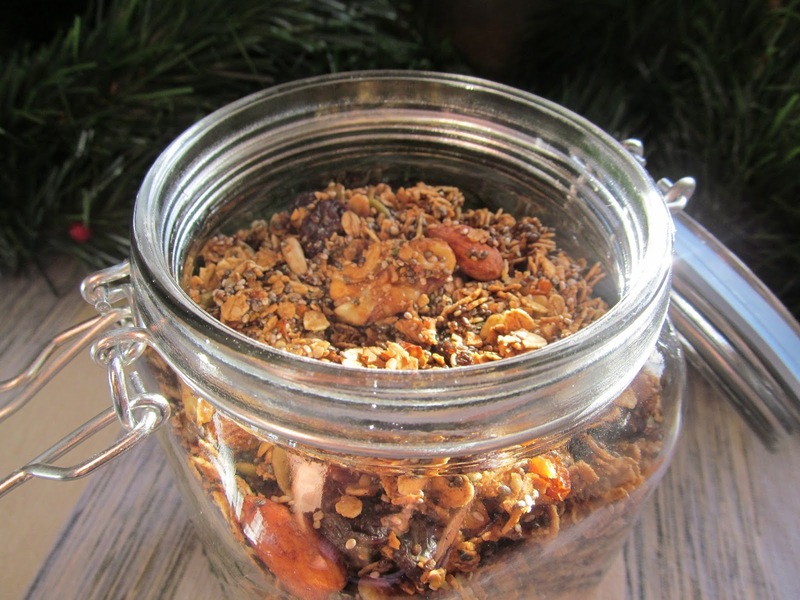 Hmmm…I’m thinking a jar of this granola would be perfect for gifting this holiday season. 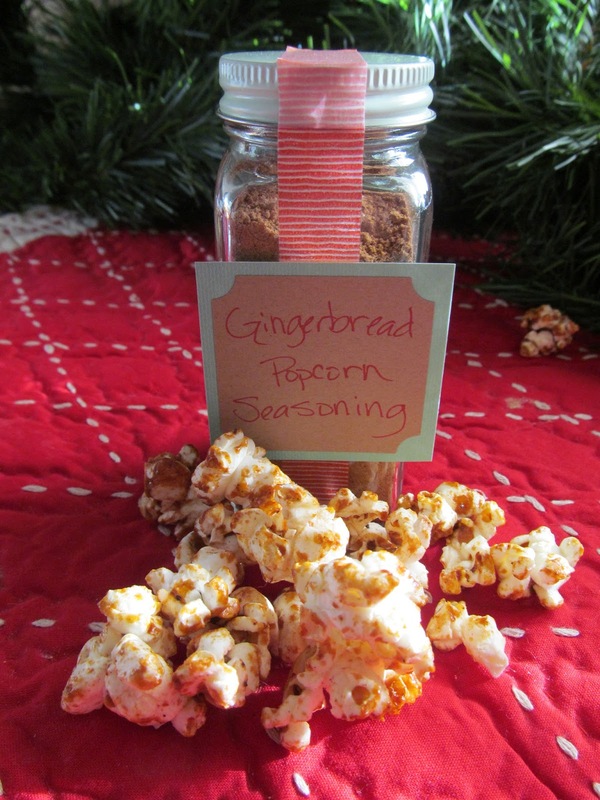 And then, to end this delicious day of gingerbread spice, I popped myself some corn (organic and non-GMO, of course) and smothered it with molasses and spices for some sweet evening’s end munchin’. Mix ingredients thoroughly and store in an airtight container. 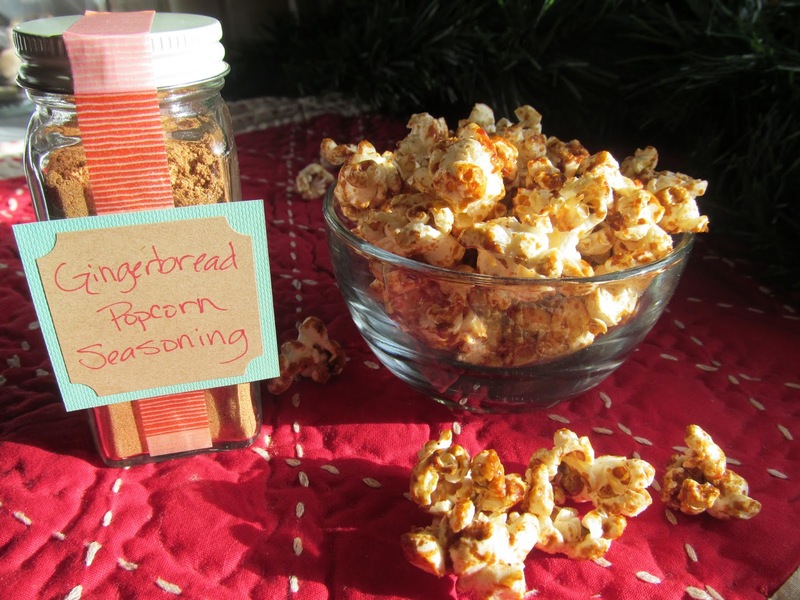 This recipe made enough spice mix to fill one standard size spice jar. Pop 1/4 cup organic corn kernels using either an air popper or a covered pan on the stove-top (for those of us who do not have a proper popcorn popper). Pour popped corn into a large bowl and set aside. In a large pan, melt 2 tablespoons coconut oil. Add 1-2 tablespoons molasses and 2-3 teaspoons spice mixture. Stir until combined. Pour liquid over popcorn and mix thoroughly. Place smothered popcorn back into the pan over medium heat. Stirring constantly, heat for just a few minutes until the gingerbread coating begins to caramelize slightly. Cool and enjoy!